You guys…it’s finally here. The Lilly Pulitzer After Party Sale runs from Monday, August 28 until Wednesday, August 30th. Three days of one of my favorite sales of the year. 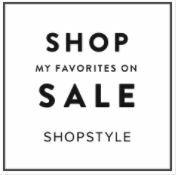 No – my absolute favorite sale of the year. With that I mind and only the weekend to prepare, I thought I’d share a few of my favorite tips….and a few of my favorite dresses you can get for next to nothing. Anyone who knows me knows I have a closet filled with LP, and I’m not ashamed. I love it, it’s such good quality. It doesn’t matter how many times I wash things, they always look spectacular – and it’s always chic. I don’t know if y’all know this or not, but being a mother to four small kids is not an easy task. It means I have approximately half a second to think of me. And LP is my go-to. The bold colors are flattering, and they hide dirty little fingerprints and stains that typically end up all over me if the kids have any say in life. The cuts are super flattering, the fit is always perfect, and how easy is it to get dressed in the morning when all you have to do is choose which dress to wear? A whole outfit in one place? Yes, please! That said, it’s time you get to know how the sale works, what to do, and what advice I have after shopping the sales twice yearly. First – you can find LP on sale other times, but not through LP. I find dresses on sale all the time at Nordstrom, Dillards, and just about any LP-authorized boutique in any beach community. All. The. Time. Second – you must know the rules. Third – you must be ready ahead of time. Ladies – there are rules. Here they are. You can add all you want to your cart, but that does not reserve the item. You cannot log into the website until the sale opens at 8 am. You better be at your computer ready to login when 8 am rolls around. Check back regularly, because new styles are added throughout the sale. I know you already have an LP account online, right? If you don’t, do this now. You need to have your address and other personal information already stored to save you time and provide you with a better chance of seeing the items in your cart still available when you check out. If you aren’t comfortable saving your credit card option, you can always check out with Paypal – which means you can pay with your bank account or debit card through Paypal on the LP site with the click of a button. It’s so easy, and it’s much safer. And don’t panic. Here’s the deal – sometimes I’ve waited over an hour – DO NOT REFRESH – to get into the sale on the first morning, and it’s totally fine. I’ve never had anything in my cart sell out before I can check out. Most everything is in my size by the time I get in, and it’s been a seamless process. Even better, there are new styles added regularly throughout the three days the party lasts. This means what you love might not be on sale right away, but it might show up before the sale ends. There’s no need to panic – even if there is a long wait. I promise it goes by so much faster than you imagine. Whatever you want. However, I would really use this opportunity to buy some of the more expensive items you’ve been eyeing. This allows you even more savings, but there is NO reason not to buy the inexpensive dresses, shorts, and tops for even less. Savings are savings, my friend. I also think the sale is a great time to purchase accessories, since no one wants to pay full price for accessories, right? I also love buying my kids’ stuff during the sale. They are huge LP fans – my oldest daughter only wants to wear LP half the time – and I love buying it at the sales since they grow so fast and it’s so not an investment piece for kids who can only wear these items for a short period. You feel the anticipation, and that’s all right. But remember not to panic. You’ll get what you want. You’ll save money. You’ll shop more than once over the course of the sale…even if you make a serious promise to yourself that you will only shop once. That’s a lie, and you don’t want to be a liar. Happy shopping, friends! What do you have your eye on during this sale?